In their quest to improve human health, medical scientists study the cause of diseases and test new methods to prevent and treat them. Medical scientists oversee many phases of development for drugs and medical devices. For example, they might develop an experimental combination of drugs to slow the progress of an illness… then design and lead a clinical trial to test its effectiveness… and conclude by writing a report and publishing their findings. When a new medication is developed for mass production, medical scientists are responsible for determining standards for the potency, dosages, and methods of use. They also develop health programs for organizations. Much of their work includes leading teams of technicians or when in university settings students, who perform support tasks. 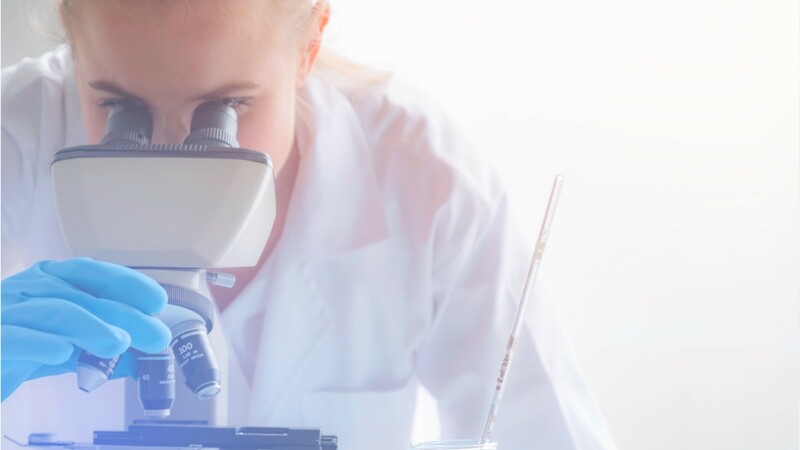 Medical scientists work in private industry on company-approved research projects, and in government and university positions, where they typically write grant proposals to obtain funding for their research. Most medical scientists work full time… both in offices studying data and reports… and in laboratories conducting experiments. Precautions must be taken when they work with dangerous biological samples and chemicals. Medical scientists typically have a Ph.D. in biology or a related life science. Some medical scientists get a medical degree instead of, or in addition to, a Ph.D. Most have a bachelor’s degree in biology, chemistry, or a related field. Conduct research to develop methodologies, instrumentation, and procedures for medical application, analyzing data and presenting findings to the scientific audience and general public. Study animal and human health and physiological processes. Medical Scientists by U.S. Department of Labor, Employment and Training Administration is licensed under a Creative Commons Attribution 4.0 International License.